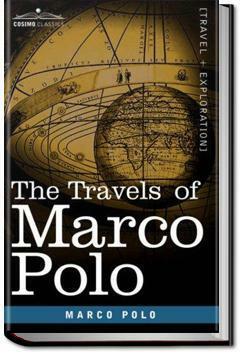 "The Travels of Marco Polo", is a 13th-century travelogue written down by Rustichello da Pisa from stories told by Marco Polo, describing the travels of the latter through Asia, Persia, China, and Indonesia between 1271 and 1291.It's been a very famous and popular book since the 14th century, creating the image of Marco Polo as the icon of the bold traveller. Presenting Marco Polo as an important figure at the court of the Mongol leader Kublai Khan, the book was written in Old French by Rustichello da Pisa, a romance author of the time, who was reportedly working from accounts which he had heard from Marco Polo when they were imprisoned in Genoa, having been captured while on a ship. . . .The general's purpose was more probably to occupy the dry undulating slopes near the south end of the valley. An advance of about five miles would have brought him to that position. The statement that 'the King's army arrived in the plain, and was within a mile of the enemy,' would then accord perfectly with the conditions of the ground. The Burmese would have found themselves at about that distance from their foes as soon as they were fairly in the plain. All I can say is, having read volume I, I felt compelled to read volume Ii. That is as good as it gets.